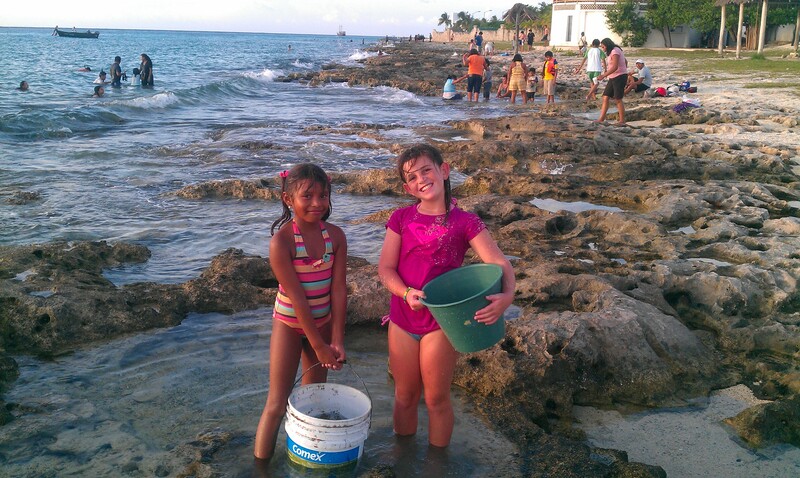 We have been living in Cozumel just over a month now. It has taken some time to getting used the Country, culture and language, but daily we grow in the love for the people and the home God has placed us in. We couldn’t be more thrilled. 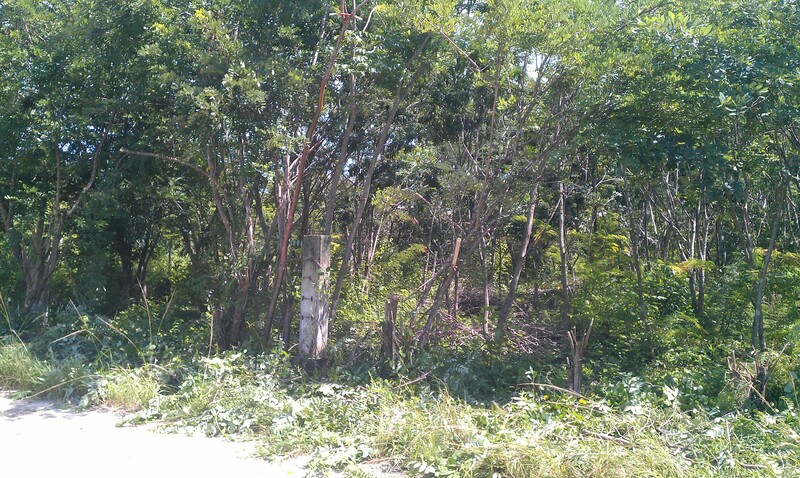 The land is about an acre and has been overtaken by the jungle, but as the neighbor says, “It is good land.” Eric and I began clearing it yesterday and within an hour we were able to clear enough plants to see the fence. Today we will clear a section in the corner where we will begin our compost pile. 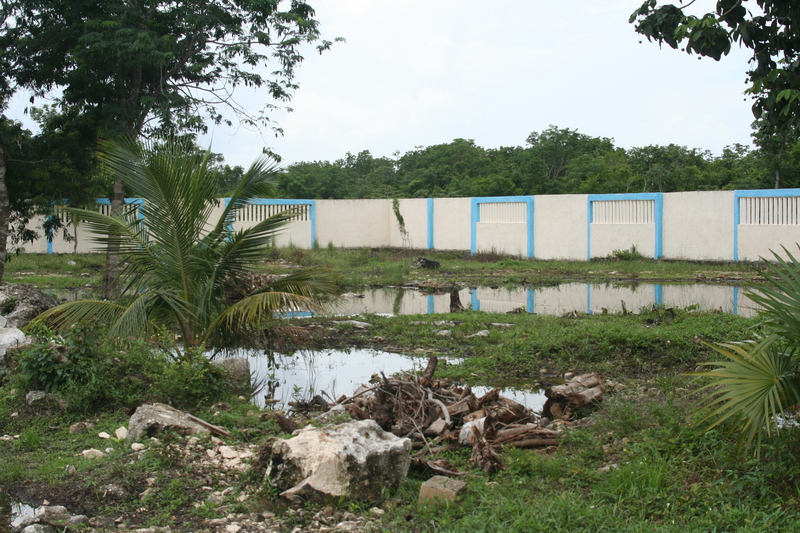 The overall goal will be to build a Mission Center for the people of Las Fincas. Here they will be able to get training on how to compost, build rain catchment systems and square meter boxes for the garden. It will also be a place to host medical and dental mission teams, tutoring services for the children, church services, and eventually a farmer’s market. So….. for some personal insight into our daily lives. Gia has been invited to part of local dance group for Carnival. Kailea has been a little motorcycle mamma scootering all over the island with Eric and making friends with a local girl, MaraJo who loves the ocean as much as Kailea and whose family owns a snack bar on the beach. Tonka has aquired his movie star status and is awaiting his first starring role in Perro de Fuerte. (Dog of Strength) And, as for Eric, God decided to make him an object lesson on the old testament. While doing good deeds fixing the fence in the orphange to keep iguanas out, he got in a tangle with the poison wood tree and was struck by a loathsome rash that began on his arms, rapidly spread to his chest and torso- and because he was stupid, and went the gym and rubbed his sweat off his face with his shirt, it enhanced his features even more. See pictures below. But if that wasn’t enough, he was asked to preach on Sunday. 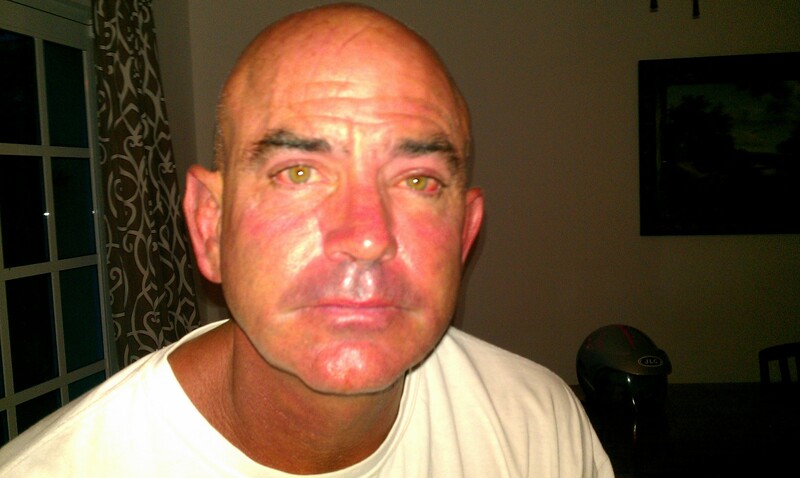 After icing his face for 3 hours in the morning, Eric was confident that he could pull it off. However, after only a couple of minutes in the pulpit the puffy eyed frog appeared – Eric couldn’t read his notes, see the Bible and when his throat closed up it was all over. We are hoping he will be asked to preach again, might be waiting a while. 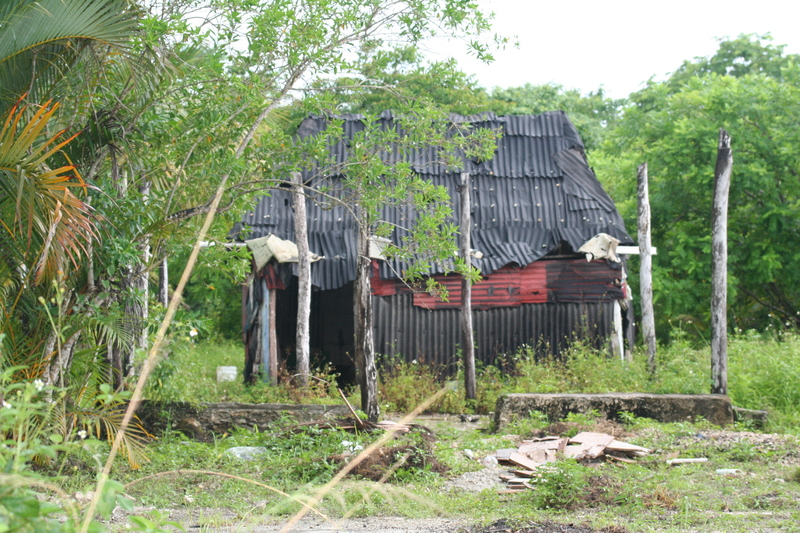 The church we go to on the island sponsors children to go to school. In Mexico, the public schools require that the students pay an enrollment fee, plus pay for their uniforms and school supplies (including things like toilet paper). Many families can’t afford to send their children and thus the cycle of poverty is perpetuated. 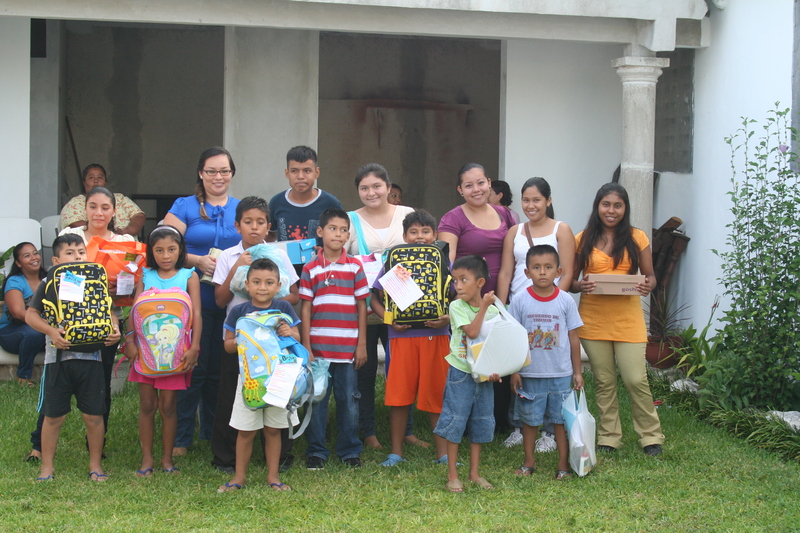 We put together supplies for 28 children and hosted the families at the pastor’s home to pass out the supplies. It was an amazing blessing to see how joyful and excited the children were to be able to go to school. Everyday brings new challenges and new friends. we absolutely adore the people here. There is need here, as there is need in a lot of areas of the world, for us God has placed a passion for these people, at this time, at this place. Anytime we feel down, a walk through the town square reminds us why we are here. The smiles and waves make us feel at home, reenergized, and ready to serve anew. 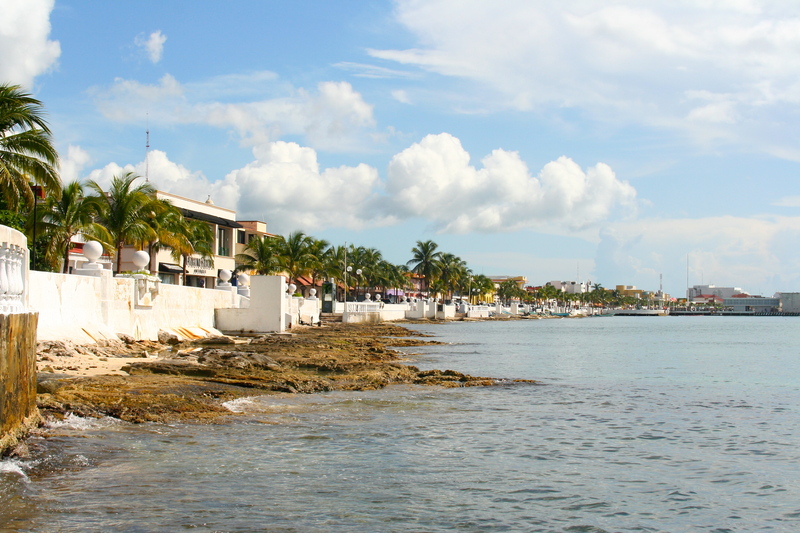 Cozumel is a very beautiful island with warm, friendly people. When you visit it is very easy to see only the beauty here. But when you venture a short 3 blocks away from the sea, and cruise-ship-filled horizon, your eyes behold a very different scene. up on shore or tar paper. They are smack dab in the middle of the jungle – the lush greens of the plants make even the shantiest of homes seem pleasant, but in the rainy season (which it is now) the mosquitos abound carrying dengue fever and encephalitis. So for me the question is how can I help. I don’t want to assume that they are unhappy. I don’t want to change their culture. I just want to share the love of Jesus and provide wherever they may have need. 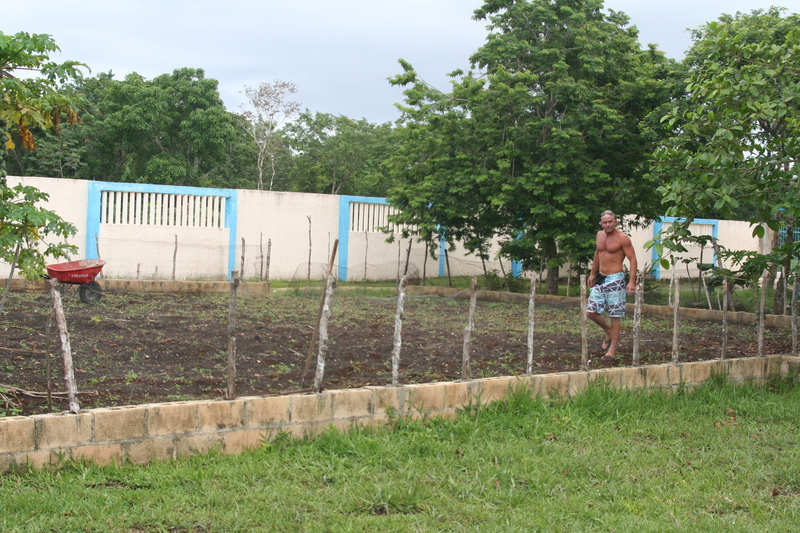 We have decided to use the square gardening method of planting at the orphanage. It appears to be an amazing and somewhat easy way of growing food. We hope to train/educate the children there to create these gardens for themselves by teaching them how to compost, save rain water by making water catchments and rotate crops after harvesting. If this method proves successful, how incredible would it be to bring it to areas like Las Fincas. Please pray for open doors and that God’s work and word will go out. Thank you for your continued prayers and support. If you would like to financially support 7 Day Hero Mexico’s mission please click on the link below. After years of dreaming, and 2 years of planning, the Lucy family has finally arrived in Cozumel, Mexico. God has opened the door for us to go on the mission field and work with the local orphanage, Ciudad de Los Angeles as well as other organizations on the island and the Yucatan peninsula to provide humanitarian aide through agriculture, sanitation and construction. 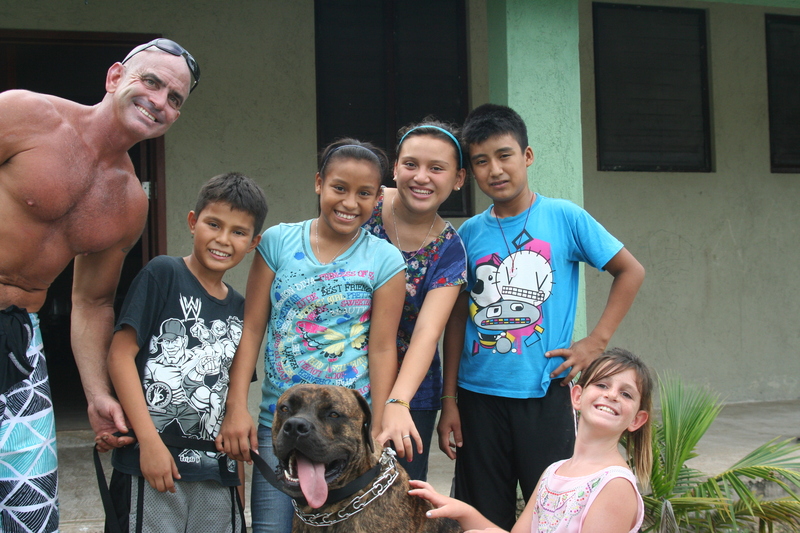 June 28th Eric and Tonka, (our 150 pound, 68 kilos, Boerboel dog) arrived in Cozumel to set up the household and site check with the orphanage. He was welcomed with customs agents, police and soldiers taking photographs with the dog. Gia and Kailea followed 2 weeks later. After finding a home, Eric began his work at the orphange by breaking ground and aerated the plot which will be the revitalized garden. One of our goals is to create an organic garden, teach composting and worm farming. Most of the fresh produce on the island comes by ferry, so it very expensive and often substandard. Soil on the island is expensive as well. 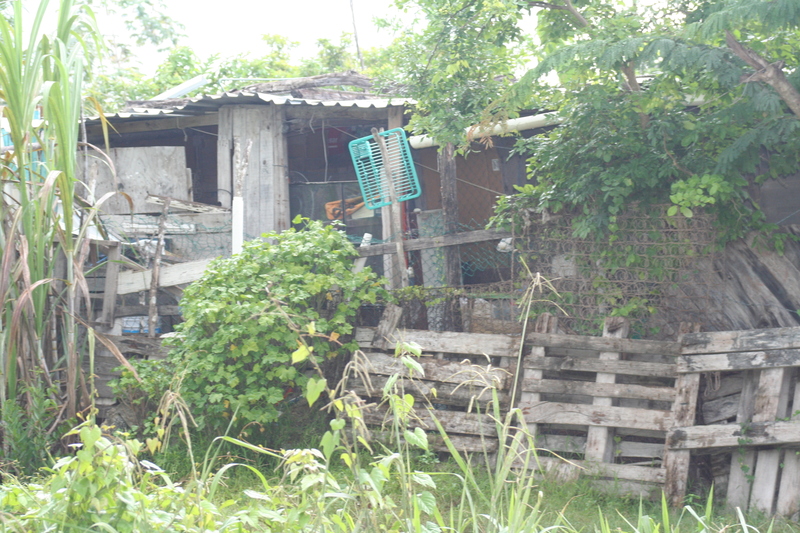 I believe the plot of land (see below) cost 15,000 pesos, or $1,250.00. By creating our own nutrient rich soil, we might begin to help not only the orphanage, but the surrounding neighborhood as well. Future site of the next home. 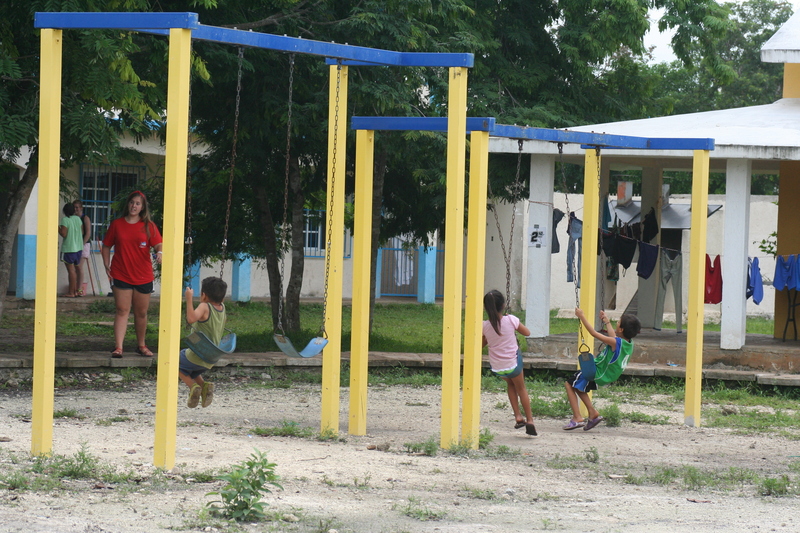 The orphanage currently has 44 children but would like to bring in another 40 children from central Mexico. We will be helping to build three new homes, and a transition house for kids graduating from the orphanage and going to local College. We are also working on some water purification solutions and of course continual maintenance. The staff is phenomenal and the volunteers, extraordinary. We are starting out slowly, building trust as we go. If you know Eric, this is driving him nuts. But it is the right way to go about it. We are starting seedlings at our house and hopefully will be able to plant them once they can stand up to the monsoons. We have been practicing our Spanish and working on our Immigration status. One thing is the same as the states. It took two weeks and then four days waiting at the house to get the cable guy to hook us up. Some things cross all borders. Thank you for your continual prayers, this is a great island and wonderful people surround us but it is still a bit scary. God is good.